The map is large and graphic.. Little tent cities display the domains of the desert tribes. 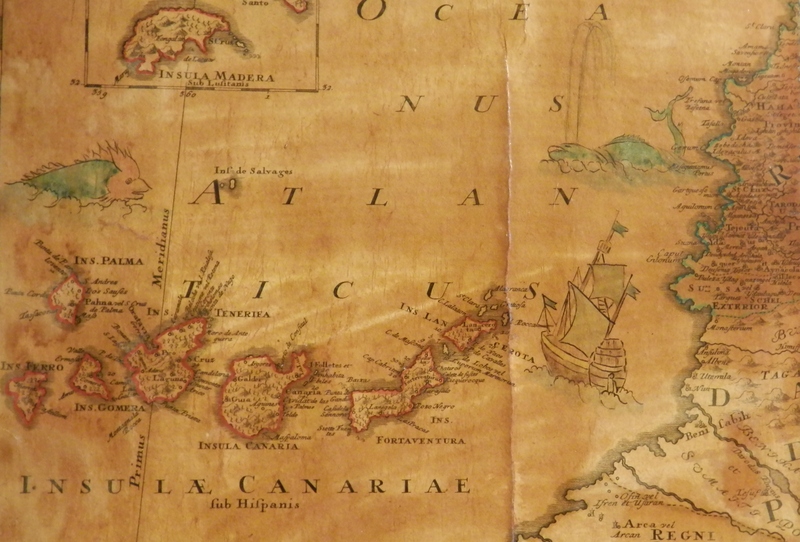 The map also includes the Canary Islands and an inset of Madeira. In the upper left is a large cartouche with merchants, soldiers, and wild animals. 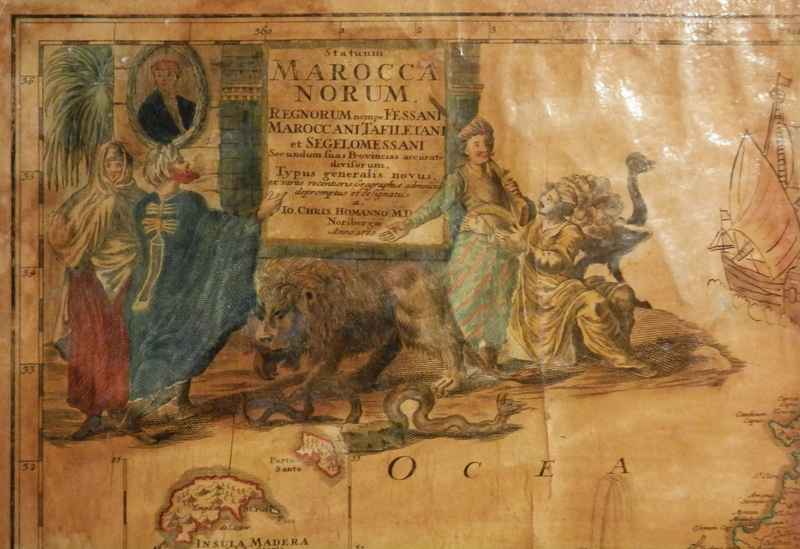 On the maps which I have seen on line there is a view of Tangier and a sea battle as well in the upper cartouche. 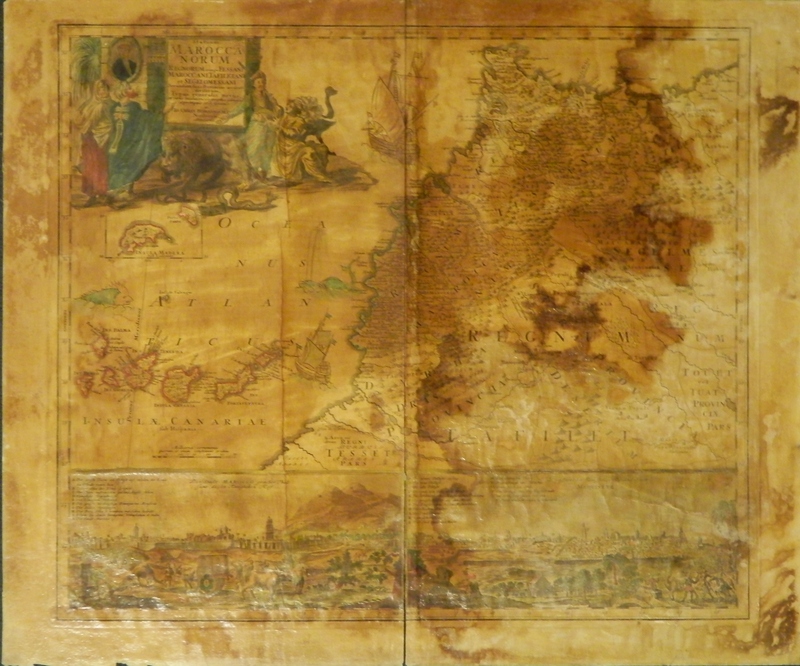 You will notice that the view of Tangier and the naval sea battle is missing from my version. There is a ship to be seen but only a single ship and no battle. The three other items which are to be found on my map and not on any other that I have seen are two leviathans – one with a great spiked dorsal fin extending down it’s spine and the other spouting water and slapping it’s mighty tail. There is also a ship sailing up the east side of Lanzarote. 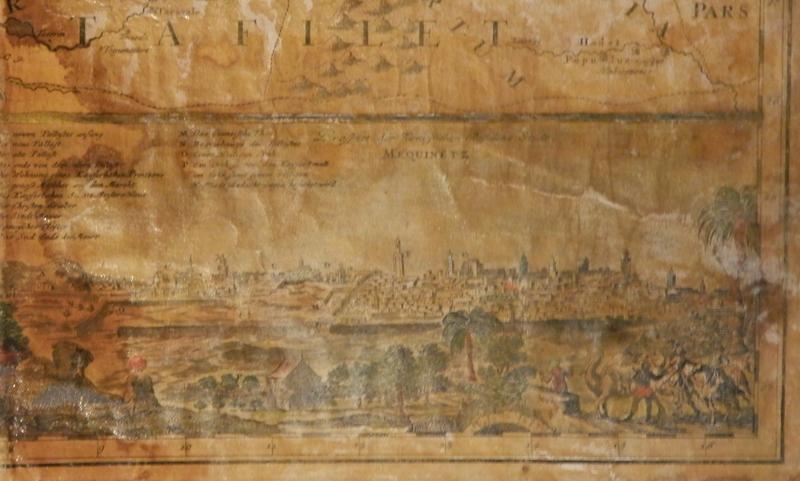 Along the bottom, below the map are two panoramic city views of “Morocco” (Marrakech) and “Mequinetz” (Meknes). I’m afraid that my map as been separated down the central vertical fold. It has also been coated with some varnish or shellac which makes taking photos hard and moisture has also led to excessive discolouration in places. 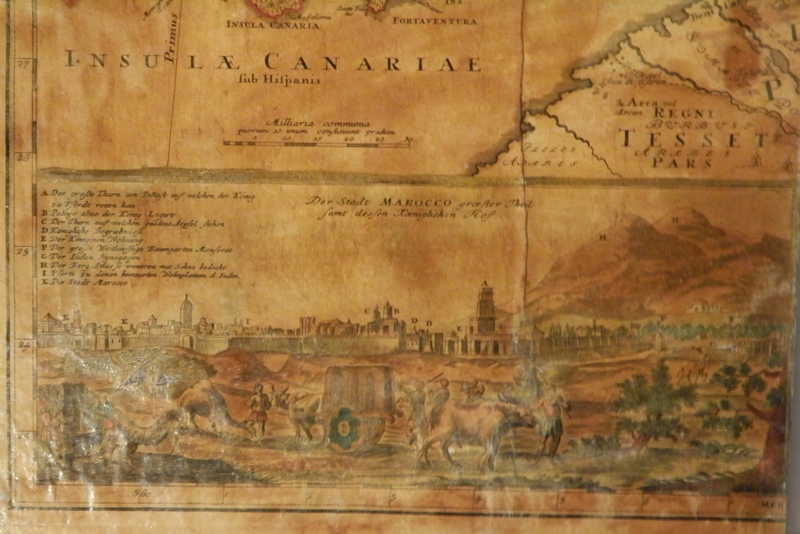 This entry was posted in Etching, Printing and tagged Canary Islands, inset, Johann Homann, leviathan, Madeira, map, Morocco, ships. Bookmark the permalink.